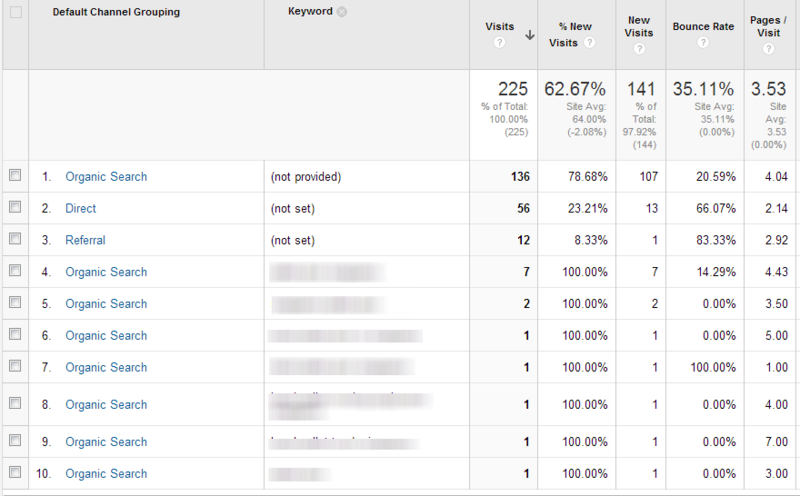 So how would you know which direction is your site headed if you do not know how your visitors found you? 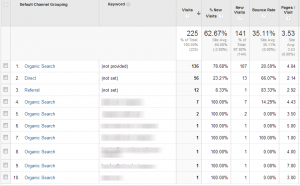 Here’s a quick workaround to get some keywords for your site. These has been much hype about new style of online marketing, conforming to new search engine rules, like panda or penguin updates, social media, etc.. but the question is, do you really need all these new mambo jumbo just because everyone’s doing it? Well it might not on you, but it did for them! It is the same for marketing, what seemingly won’t work with you may just be your winning ticket to a viral campaign! The truth is, many supposedly “old & cheesy” ideas die on the drawing board before they are tested, in a calm and confined environment we beat up ideas with hypothetical scenarios how the idea will fail. They are regarded as “old fashioned” and not worthy of the new era which requires words like “crowd supported”, “UX design” and “social analytics”. It’s time to do what Steve Blank says “Get Out Of The Building!” It means to get out on the streets and test it out! Ok maybe for the online marketers, Get The Idea Out Into The World! Marketing boils down to the simple task of getting the right message to the right target audience. No matter how “old fashioned” and dated an idea seem, just like in the youtube clip, alway test it before dismissing it. Of course before testing you might need to have a good execution plan. You might just be in for a big surprise! Remember, marketing isn’t about getting the perfect design or latest technology. So before you actually kill any idea, make sure you test it out, or better still, share them with us below! If you’re thinking about marketing your company, service or product via mobile apps then you probably have a lot to consider. Firstly, you got to decide which platforms to start with. There are 4 main platform these days, Apple, Android, Windows and Blackberry. So if you’re on a limited budget, which should you start with first? I’ve been using pay per click ( PPC) or more specifically google adwords for my internet advertising for quite some time and I would like to show you I swapped a word and actually make a huge difference in ad performance. We are working up new packages to help individuals and businesses succeed online. Stay tuned! Let us know if there’s anything we can help you online! ©Ascend Marketing & Research. All Rights Reserved.